First, you need to know that I’m here to help you spend less money on groceries. 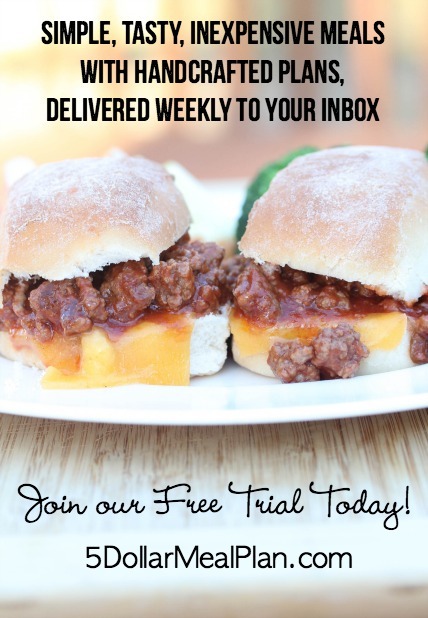 I do that by sharing all kinds of delicious and budget friendly recipes every week here on the site. I also do that by preaching and teaching about meal planning, and just doing the meal planning for you. Meal planning is absolutely crucial for spending less money on groceries, especially when you can meal plan based on meat sale prices and produce sale prices. I know that meal planning is not a strength for some and I also know that you don’t have the time needed to devote to finding recipes, making shopping list for ingredients you need, etc. So I do it for you. One less thing on your to-do list. The majority of the feedback that I received from the “20 Meals for $150” meal plans was that…not enough space in my freezer and not enough time to prepare. So…I’ve reworked this freezer meal prep concept so that you will make 10 meals (plenty of space in your fridge freezer, they take up less than half of the bottom section of my fridge freezer!) in (what I hope will be) less than 1 hour. Yes, 10 meals in less than an hour. 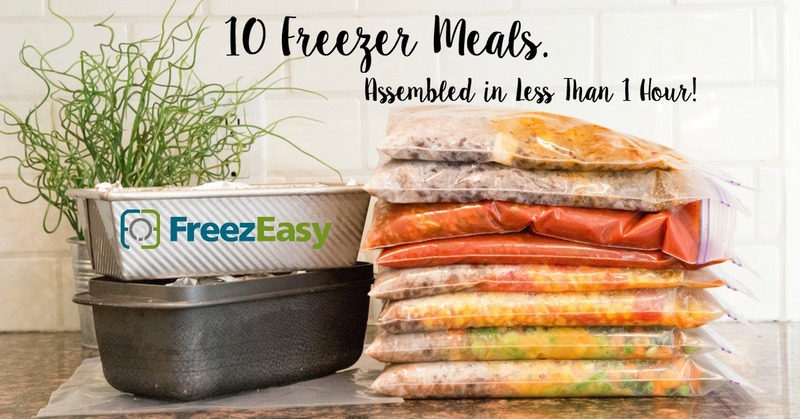 Of the 5 new meal plans that we’ve released in the FreezeEasy store, the longest was 55 minutes. The shortest was 42 minutes. Now, you don’t have to worry about space and time. I’ve simplified this all even further for you! I’ve taken specific type of recipe and meals and pulled them together into these fast freezer meal prep sessions! As for the content within the printable downloads that are available, that is all the same…recipes, shopping lists, assembly notes, detailed assembly instructions and an assembly video. In the video, I work through the assembly process with you…as if I were in your kitchen. I’ll teach you about the different recipes and drop some truth bombs in there too. Everyone love the videos! Also, back to the “meal planning based on what meats are on sale” <— THIS right here is why I’ve set up the core meal plans they way I have. Plan to make these meals for the freezer when you see that particular meat type on sale. Mega savings on your groceries when you do follow the sales and stash meals into your freezer regularly! The “no cooking needed on prep day” is what makes putting together these meals so quick! Alrighty…that’s it for now! If you have more questions, please let me know! P.S. I’ve got a special introductory bundle starting tomorrow…you’ll have the option to save $10 if you get all 5 new FreezEasy plans! Sign up to get notified of these and other future offers! P.P.S. Yes, we will be releasing more freezer cooking meal plans on FreezEasy in the near future. We are starting with 5 meal plans and will add more for you soon! Just printed my two freezer meals plans (chicken and beef) out today. Was looking in the freezer to see what boneless chicken breasts I already have. I think there’s more on sale this week. Can you use something else besides coconut milk in the recipes that you have them for? Just wondered. Thanks for your help. I know these recipes will help us quite a bit. I have a nice sized freezer and have had for years. So thankful I have it! Take care!